MetalCloak Exclusive! 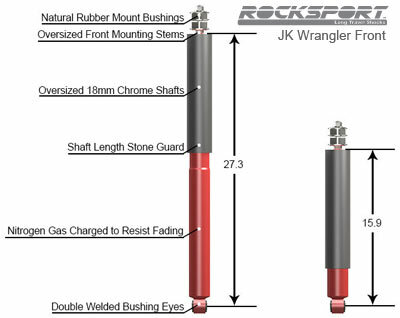 RockSport Long Travel Shocks. At MetalCloak, we are always looking for new ways to meet your needs, and that means Options! Just like the options we have on our JK Fenders & TJ/LJ Fenders, we now have one more great option for our JK Suspension Systems and TJ/LJ Suspension Systems. 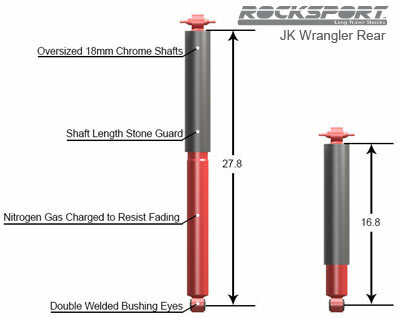 Meet the RockSport Long Travel Shocks. RockSports were designed in coordination with our engineers to meet the precise specs for the best possible harmony with our True Dual Rate Coils. 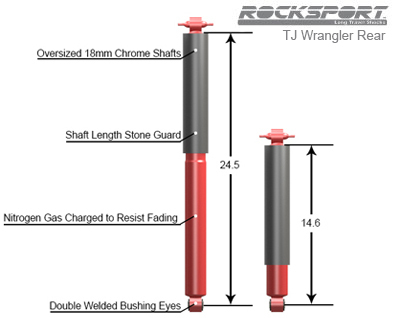 Backed by our Lifetime Customer Service, you can have confidence that the RockSport Long Travel Shocks & RockSport Steering Stabilizers will help guide your on and off-road adventures. 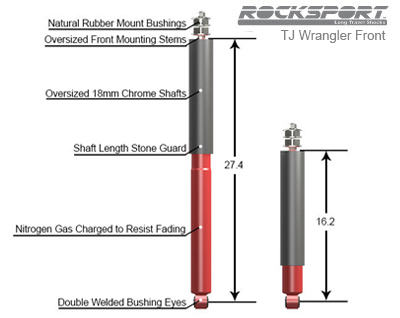 LJ Lock-N-Load Long-Arm Suspension System, RockSport Edition, 4.5"/6"